It really is humbling, but back by popular demand (or so I hope!) 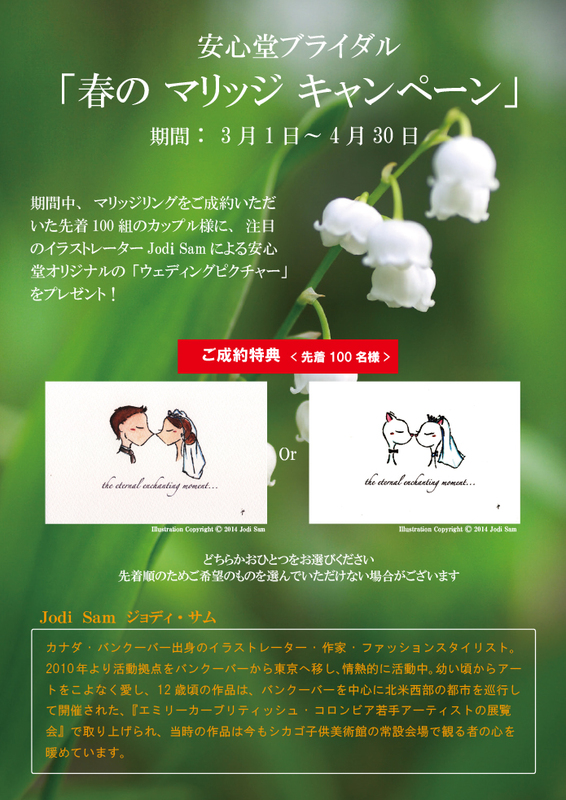 from Mar 1 to Apr 30 2015, couples purchasing Anshindo's original weddings rings will received an exclusive solid wood framed print of my work. Again, it's limited to the first 100 customers, with a choice of 2 illustrations. Anshindo is a renowned fine jeweller, founded in 1912 and based in Shizuoka, Anshindo has stores in Japan, as well as branches in Paris and Los Angeles.